Former Hull City manager Steve Bruce has been appointed as the new manager of Aston Villa. Steve Bruce resigned as Hull City boss this summer, after spending 4 years at the club and seeing them through relegation and promotion. Bruce now takes over at Villa Park, after former Chelsea manager, Roberto Di Matteo, left the club in the 19th position in the Championship division. “It’s a wonderful opportunity. It is one of the big clubs of this country. 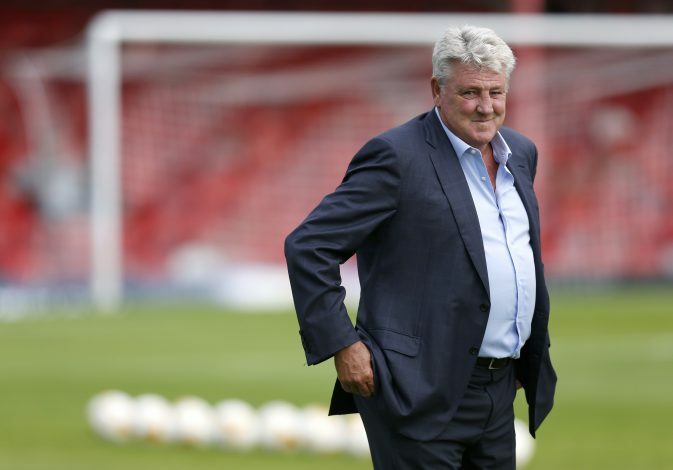 To be given the opportunity to manage it is terrific,” Bruce told the club’s official website. “I relish the challenge of trying to take the club where it wants to go and needs to be – and try to turn around the misfortune we seem to have had over the past few years. Steve Bruce has managed 8 clubs throughout his managerial career. The 55-year-old has brought sides out of the Championship division a total of 4 times, meaning that he could be Villa’s last hope of a promotion this season. Steve’s first match as Villa manager will come this Saturday, when Villa face Wolverhampton at home, having only won a single match under Di Matteo’s tenure. Aston Villa play against rivals Birmingham City on the 30th of October. Bruce managed Birmingham City for 6 years, helping them secure Premier League promotion twice. His most memorable moment as a manager came in 2014, when he led Hull City to the FA Cup final, only to lose out to Arsenal in the end.